When planning for the future, you must not overlook the myriad tax considerations. Our law firm's emphasis on not only estate planning and elder law, but taxation, too, is key to our ability to represent you effectively. Virtually every estate planning decision has tax consequences. When you reach out to us for estate planning and elder law advice, we will also consider the tax consequences and implications. We will consider income tax issues as well as estate tax concerns. Contact our firm today for these in-depth resources by calling 1-877-ELDER-LAW. We are a member of the national ElderCare Matters Alliance — the country's top directory for senior care services. 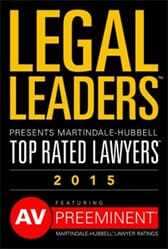 Our attorneys' service and respect for our clients has earned national recognition, including top ratings by Avvo, AV Preeminent* ratings by Martindale Hubbell and our attorneys have been selected for inclusion in Super Lawyers. There is no substitute for a law firm that can provide a holistic, respected and distinguished tax service to your family. We understand that every change in your estate plan, no matter if it is major or minor, can have significant consequences on your family and tax plan. Your family is changing. Tax laws are changing. Get a better understanding of what this means for your future. Personal service close to home, close to your family is available at any of our five New York City office locations in Manhattan, Brooklyn, Queens, Great Neck or Cedarhurst. Call 1-877-ELDER-LAW or send an email to schedule your appointment today.